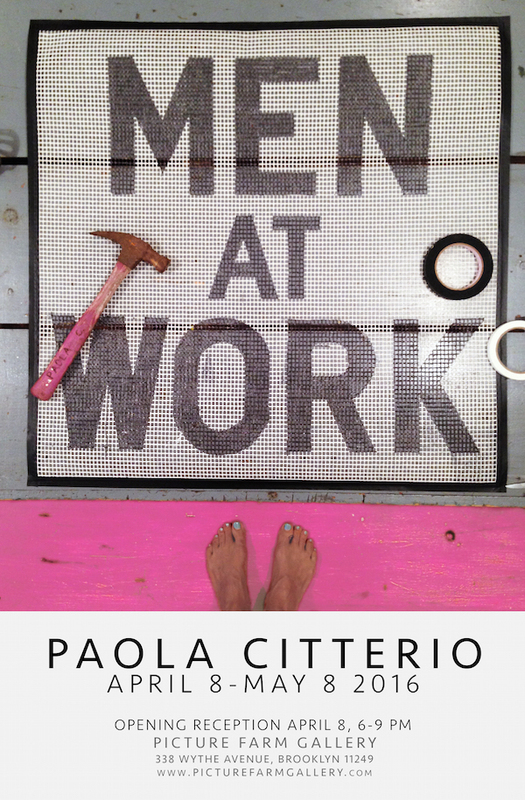 Picture Farm Gallery is proud to announce the upcoming exhibition of Paola Citterio, a member of our community and neighborhood, and an artist whose work we are privileged to present. The show opens April 8 with a reception form 6 to 9 PM and will be on view until the 8th of May. There are times when I have to push, prod and pummel my way through life. Then, there are others when I let life lead me. My work develops in much the same way. I often have no idea where it’s going when I begin. The joy, for me, lies in the uncertainty; in embracing that void. The raw materials are all here: my yarns and the lost objects found by family and friends in this city I love. So, too, are the tools: the rigorously hand-made male tools, also kindly provided by the city. It is the process that is the true revelation. I use a needle felt technique. Which translates into hours of constant jabbing, pushing, probing, puncturing. This repetition, the relentless rhythm of it, creates a momentum. A momentum that not only gives birth to the piece itself but that also transports me. PAOLA CITTERIO was born in 1964 in a small village close to Milan, Italy. She received her Bachelor of Art degree in Scenografy from Nuovo Accademia di Belle Arti, NABA, in Mailan 1986. For the next fifteen years she would work as a set designer for theater, film and commercial productions. In 2001, Paola moved to New York City and found artistic inspiration in her family life, creating pieces that blend the traditional craftwork she learned from the women in her childhood home (knitting, sewing, felting and baking) with found objects from the city streets around her. There is always an element of surprise in Paola’s work, as she likes her audience to engage with her pieces and discover them inside and out. And besides…the last time we had Paola at Picture Farm was one of the best nights of the gallery’s life.